For the past few weeks, Game of Thrones fans have lost their minds every time the cast or crew has mentioned the show’s season 8 plot. 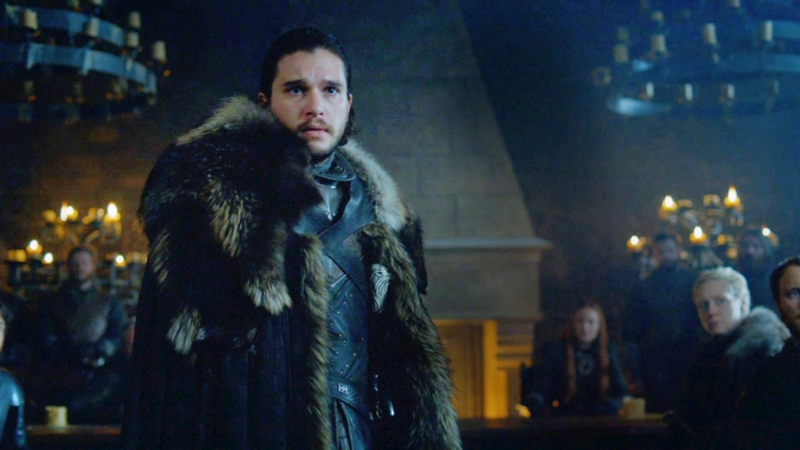 But according to Kit Harington, we shouldn’t worry — even the actors themselves may not know the real GoT ending. Harington, who plays certified heartbreaker Jon Snow on the hit HBO show, confessed in a recent InStyle interview that even he isn’t sure how this season will play out. While we’ve been busily scrutinizing every word out of a GoT actor’s mouth, Harington says he “still [doesn’t] trust that the ending that was written down is the actual ending.” If Harington is correct that the final scene he read isn’t the real ending, we have some follow-up questions. Does that mean the cast and crew shot a fake ending, just to keep the actors in the dark? Since they certainly shot the real ending scene at some point, the actors who are in that scene must know what the ending is — unless they were lied to about where that scene plays in the season. Lastly, if Harington is this unsure he knows how the series ends, does that confirm that Jon Snow doesn’t make it to the end of the season? Possibly, not even to the final few episodes? Given the GoT showrunners’ intense privacy concerns, it’s not such a huge reach to suspect they pulled this trick. In a recent interview with Entertainment Weekly, David Benioff and D.B. Weiss are questioned about their war on spoilers. Apparently, the pair “read the cast the riot act at the table read about spoilers,” demanding that “not even a photo of your boots on the set” make it to the public. Benioff admits that he “won’t be relieved until the final episode airs without a leak,” while Weiss shares that it’s getting “harder and harder” to make it through a season without spoilers being leaked. Game of Thrones returns Sunday, April 14 at 9/8c on HBO.